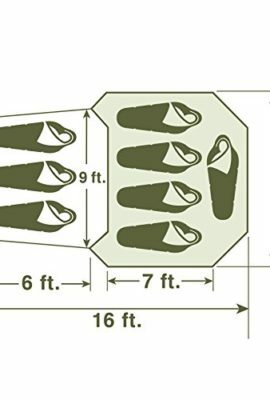 Whether you’re heading to the campground with the family or the elk camp with your hunting buddies, the rugged, all-season Kodiak Canvas Flex-Bow eight-person tent is well suited to the occasion. 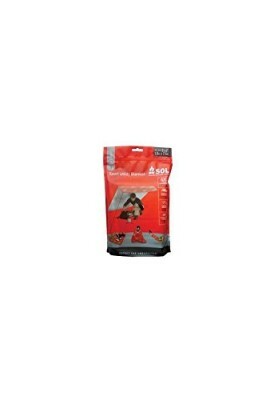 The Flex-Bow tent is made of a superior, marine-grade, 100-percent cotton duck Hydra-Shield canvas. 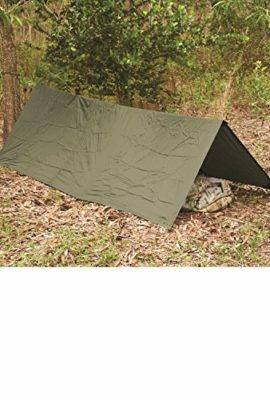 The custom-woven, treated canvas is ideal for tents, as the double-fill design is strong and durable, while the silicone, dry-finish treatment is watertight, breathable, and durable. As a result, campers will stay comfortable and dry even in a downpour. Unlike synthetic fabrics or canvas with a paraffin- or oil-based treatment, Kodiak’s canvas allows water vapor to escape, minimizing condensation, humidity, and mugginess. Plus, you’ll rarely–if ever–have to retreat Kodiak canvas. 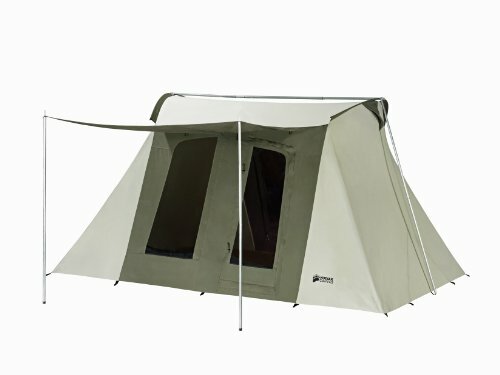 The Flex-Bow frame is every bit as strong, with 1-inch galvanized steel tubing and 3/8-inch Flex-Bow spring steel rods keeping the tent taut at all times. 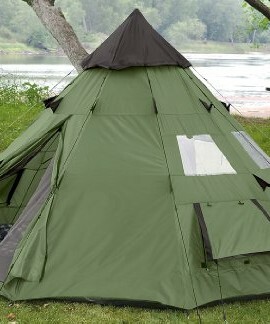 To further improve ventilation, the tent includes two funnel-flow vents that circulate air and assist with temperature management. And campers won’t feel claustrophobic thanks to the tent’s spacious 6-foot 6-inch ceiling height, two large D-shaped doors (front and back), and four large windows, all covered with no-see-um mesh. 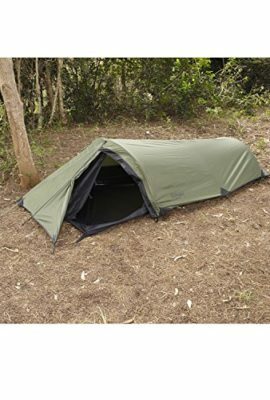 Other details include a 16-ounce, polyester-reinforced vinyl floor; a large 84-by-78-inch awning; a customizable gear loft and organizer pockets; and a handy strap-and-cinch storage bag. The Flex-Bow, which sets up easily with one person, is designed for year-round use, but isn’t suitable for extreme winter mountaineering or heavy snow accumulations. The Flex-Bow’s spacious footprint sleeps up to 8 people. 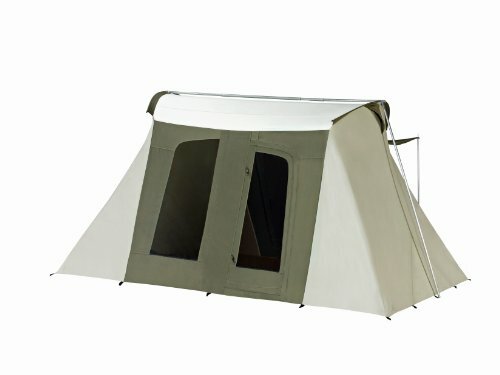 Born in the ruggedness of the Rockies, Kodiak Canvas has quickly earned a reputation for making tough, long-lasting tents ideal for almost any camping scenario. 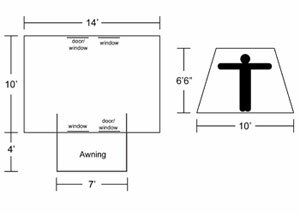 Each tent is made of top-of-the-line materials and components, helping Kodiak tents far outlive cheaper-made tents. 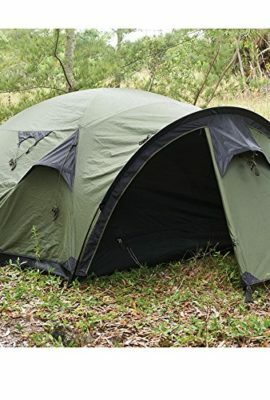 The company’s tents feature Hydra-Shield canvas construction, a tough, long-lasting material that minimizes mugginess and holds up to strong winds, driving rain, and even moderate snowfalls.